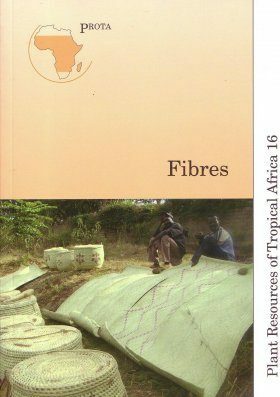 This series is an output of the PROTA foundation which seeks to improve understanding and information on the plant resources of tropical Africa. This series is a multivolume handbook, similar in format and purpose to the well-known PROSEA (plant resources of South-East Asia) project. The PROTA handbook is due to be published in 16 volumes (from 2004 onwards), covering the 7000 of the approximately 30 000 higher plant species that are used by man. The 16 volumes will be based around the principal ‘commodity groups’. 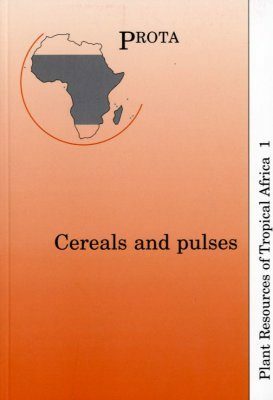 Plant Resources of Tropical Africa, Volume 1: Cereals and Pulses PROTA 1 deals with the cereals, pseudo-cereals and pulses of Tropical Africa. 82 ‘primary use’ cereals and pulses are described in 73 review articles. Many of the articles are illustrated with a geographic distribution map and a line drawing of the habit. Plant Resources of Tropical Africa, Volume 2: Vegetables PROTA 2 deals with the vegetables of Tropical Africa. 350 ‘primary use’ vegetables are described in 275 review articles. Many of the articles are illustrated with a geographic distribution map and a line drawing of the habit. Plant Resources of Tropical Africa, Volume 3: Dyes and Tannins PROTA 3 deals with the dyes and tannins of Tropical Africa. 116 ‘primary use’ dyes and tannins are described in 73 review articles. Many of the articles are illustrated with a geographic distribution map and a line drawing of the habit. Plant Resources of Tropical Africa, Volume 7, Part 1: Timbers 1 PROTA 7 deals with the timbers of Tropical Africa. Because the group is very large, it is subdivided into 2 volumes. 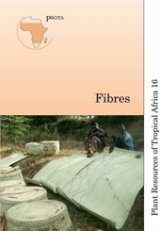 In PROTA 7(1), 511 ‘Primary use’ timbers belonging to a selection of 25 botanical families, are described in 280 review articles. Many of the articles are illustrated with a geographic distribution map and a line drawing of the habit. 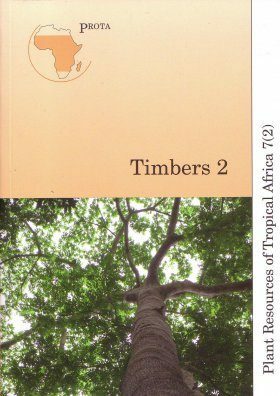 Plant Resources of Tropical Africa, Volume 7, Part 2: Timbers 2 PROTA 7 deals with the timbers of Tropical Africa. Because the group is very large, it has been subdivided into 2 volumes. In PROTA 7(1) 511 ‘primary use’ timbers, belonging to a selection of 25 botanical families, were described in 280 review articles (2008). This volume, PROTA 7(2), describes 693 ‘primary use’ timbers in 314 review articles. All articles are illustrated with a geographic distribution map and many with a line drawing of the habit. PROTA 11 deals with the medicinal plants of Tropical Africa. Because the group is very large, it will be subdivided into 4 volumes. In PROTA 11(1) 894 ‘primary use’ medicinal plants, belonging to a selection of 26 botanical families, are described in 406 review articles. Many of the articles are illustrated with a geographic distribution map and a line drawing of the habit. Deals with the plants of Tropical Africa yielding vegetable oils or fats. PROTA’s database ‘SPECIESLIST’ presents 249 species used as such, but only 65 are ‘primary use’ vegetable oil plants, qualifying for treatment in this volume. 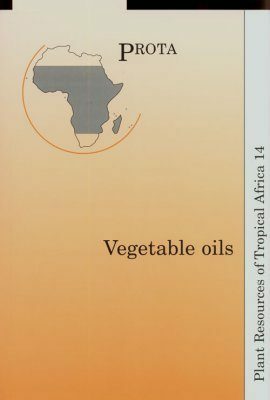 The other 184 species have been listed as ‘Vegetable oil plants with other primary use’ and referred to other Handbook volumes. The 65 ‘primary use’ vegetable oils are described in 48 review articles, implying that 17 species have no separate article due to lack of information; they are only mentioned in the articles of related species. For more information on PROTA, see their website at www.prota.org.